Western Values Project (WVP), a Montana-based conservation group, represented by watchdog American Oversight, today filed a lawsuit against the Department of the Interior (DOI) to investigate whether Interior Secretary Ryan Zinke has used his position for personal or political gain. 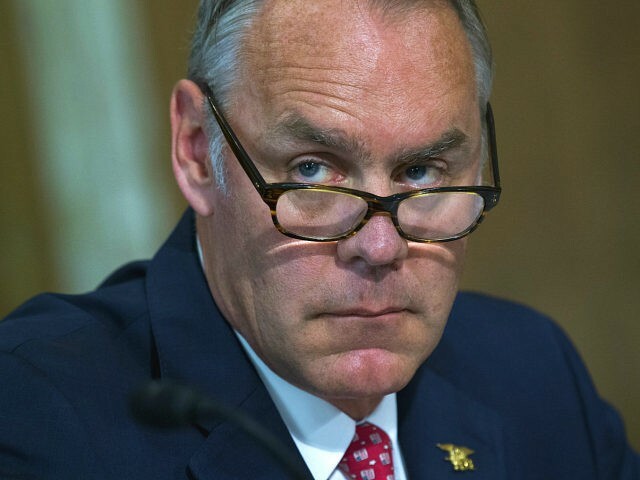 WVP is seeking the release of a broad range of documents related to Zinke’s conduct during his tenure as secretary, including records of Zinke’s travel to various political conferences, his communications with individuals tied to Halliburton, and any emails sent by or to Zinke on personal email accounts or private servers. Zinke’s alleged ethical violations over the past year and a half have spurred outcry from lawmakers, watchdogs, and the public. DOI’s Inspector General and the Justice Department’s Office of Special Counsel have opened 14 investigations into Zinke, including his taxpayer-funded travel, possible violations of the Hatch Act, and alleged involvement in a sweetheart land deal with the chairman of Halliburton. WVP’s lawsuit aims to uncover records that would shed light on details of Zinke’s alleged corruption. The suit seeks to compel the release of documents related to some of the same incidents that led federal investigators to examine Zinke, including his role in backing a commercial development involving his family’s foundation in his hometown of Whitefish, Montana, funded by Halliburton Chairman David Lesar. As planning for the development has progressed, DOI has acted to roll back protections for public lands and relax drilling standards that benefit Halliburton. WVP is also demanding the release of records showing Zinke’s use of taxpayer-funded travel to attend political events, including a closed-door meeting with the American Legislative Exchange Council in Denver, an appearance at a North Dakota GOP convention, and a speech at the Conservative Political Action Conference in Maryland. The suit comes after WVP filed twelve Freedom of Information Act (FOIA) requests dating back to August 2017 seeking records related to Zinke’s compliance with ethics rules. DOI failed to provide records in response to all of WVP’s FOIA requests. Eight of the requests targeted records related to Zinke’s flights and other travel to destinations including Montana, North Dakota, and Maryland. WVP’s other requests sought records related to possible personal email and private server use by Zinke, as well as communications between Zinke and individuals tied to Halliburton. The suit also seeks to compel the release of records requested by American Oversight related to DOI’s response to Hurricane Maria in Puerto Rico. See the full complaint here. Wrote to Oregon Veterinary Medical Examining Board a couple weeks ago regarding the complaint registered against Dr. Pielstick – have heard nothing. Today emailed the contact person from the Board’s October 6th meeting. Wont hold my breath. But will keep at it! On Friday, October 12, 2018, CAES filed a 415-page Appeal and Petition for Stay with the Interior Board of Land Appeals. THIS is the reply from the Oregon Vet.Med.Exam.Bd!!!! “within minimum standards”!!! The Board reviewed this case and found the licensee’s conduct to be within the minimum standards of the Veterinary Practice Act. This the only information I am permitted to disclose under ORS 676. You are listed as the contact person in regard to the October 6, 2018 Board Meeting. against Dr. Leon Pielstick, a former member of this Board. complaint – since this is taking place in the State of Oregon. veterinarian under a “research” study? is not done casually to a domestic mare and certainly not as birth control! 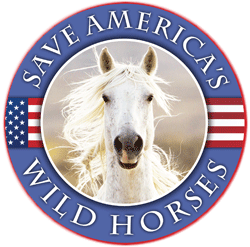 who care about our wild horses certainly deserve a public answer. Former EPA Administrator Scott Pruitt was terrible, but Secretary of the Interior Ryan Zinke seems determined to give him a run for his money. Zinke’s been nothing but bad news for our public lands. He’s moved to carve up national monuments and slash wildlife refuge protections to enable more oil and gas drilling. On top of that, he’s also being investigated for possible corruption. He’s clearly the wrong person to manage our iconic public lands. Every day Interior Secretary Ryan Zinke is in office, he works to destroy our public lands and waters at the expense of our communities. He proposed gutting Bears Ears and Grand Staircase-Escalante National Monuments. He wants to massively ramp up oil and gas drilling off our coasts. And he’s trying to slash protections for the Arctic National Wildlife Refuge. All this begs the question: What is Ryan Zinke getting out of destroying our last remaining wild places and the people who depend on them? There are 14 federal investigations into Zinke’s decision-making, misuse of funds, and potential corruption. We can’t continue to allow him to destroy our wild places and communities for the benefit of his friends – from private developers to the fossil fuel industry. This makes Zinke just as corrupt as former EPA Administrator Scott Pruitt. We need Congress to kick him out of office before he can do any more harm! And we’re not the only ones who think Zinke’s actions aren’t what they should be. There are currently 14 federal investigations looking into potential corruption surrounding Zinke’s use of funds and decision making that seems to put corporate interests above all else. But investigations can move slowly, and a lot of damage to public lands can occur in the meantime. We can’t just sit around and wait. Immense public outcry has previously forced even this administration to walk back some terrible plans and oust some corrupt administration officials. But we’ll have to be persistent and loud in demanding it. That’s why Food & Water Watch and our sister organization, Food & Water Action, are standing with over a dozen allies to say: End Zinke’s reckless leadership at the Department of the Interior. Zinke’s been livin’ large in Santa Barbara while engineering one of the most horrendous chapters in our nation’s history; the selling out of our wild lands and the murder of our wild herds of precious equines. There will be nothing left but the ghosts of death roaming these silent places where once life thrived. This is kind of off the subject – in a way. I’ve read the book “Welfare Ranching”, am now reading Western Turf Wars by Mike Hudak. Its made up of interviews he did with former employees of FS and BLM, wildlife and land management agencies and the public who has advocated for better management of our public lands. VERY VERY interesting & if I wasnt already frustrated enough with current crap – this will tip it over the edge! Also worth investigating why Zinke spent a day touring a wildfire on USFS land (not under DOI jurisdiction) and avoiding meeting with the public or local officials when he spoke in Steamboat Springs, CO, at a private $$$ per plate function. Also curious the event was held on USFS land, in a ski resort building, but the public lands USFStrails were closed to the public on that day.